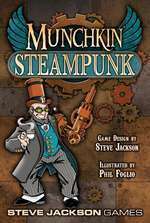 Daily Illuminator: Volunteer To Run Munchkin Steampunk Demos On March 26th! March 18, 2016: Volunteer To Run Munchkin Steampunk Demos On March 26th! 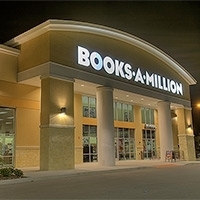 SJ Games is looking for people to help us run demos of Munchkin Steampunk at select Books-A-Million and 2nd & Charles stores! These events will happen from 2 p.m. to 5 p.m. on Saturday, March 26th. Volunteers will receive a copy of Munchkin Steampunk, Munchkin Guest Artist Edition, and a set of sweet promos! It's a great opportunity to help grow the Munchkin community in your area, and introduce new people to boardgames. Respond to this form with your name, contact information, and what store you can volunteer at from the list. Thanks for donating your time!